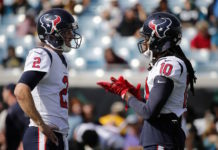 Fantasy football expert Brandon Funston provides his weekly insight and rankings of the best players to help you win big. Drew Brees comes off a bye to host a Detroit Lions defense that allowed 355 passing yards and three TD tosses to Cam Newton last week. 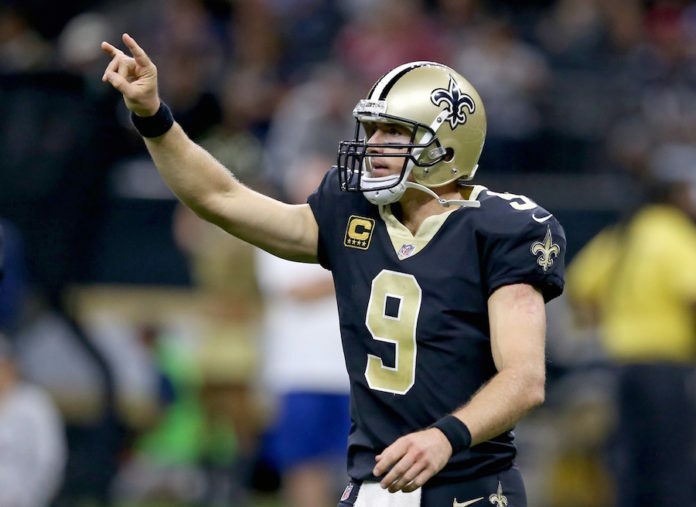 Always tough at home, Brees sits atop the Week 6 fantasy QB rankings. Kansas City’s Kareem Hunt appears to be running away with the Rookie of the Year honors, and he has another matchup this week to help pad his already ridiculous fantasy totals. 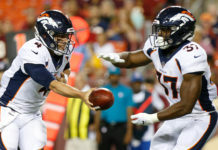 Hunt faces a Pittsburgh defense that has allowed the third-most fantasy points per game to the RB position and the fifth-most fantasy points per RB touch. KC’s back is once again looking like the “Kareem” of the fantasy RB crop this week. Pittsburgh’s Antonio Brown has faced the Chiefs in each of the past three seasons, and he’s averaging 88 yards and has scored three touchdowns in those contests. The Chiefs have allowed the most fantasy points per catch to the wide receiver position this season, making Brown a great bet to pad his historical numbers against KC – he’s the top fantasy WR play this week. New England’s Rob Gronkowski has been dealing with a thigh injury that kept him on the sidelines in Week 5. This week, expectations are that he will return to action. Assuming he does get back out on the field, the only place to put the second-most prolific touchdown scorer of the decade (behind Dez Bryant) is at the top of this week’s TE rankings. 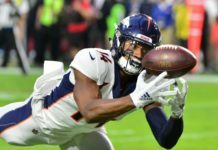 Well-rested after observing a bye in Week 5, Denver’s defense has to be licking its chops at the prospects of hosting an Eli Manning-led Giants offense that lost the services of its top three receivers (Odell Beckham, Brandon Marshall and Sterling Shepard) last week due to injury. OBJ and Marshall are out for the season, while Shepard looks highly questionable to return this week. Expect the Broncos, the top fantasy defense play this week, to feast on Sunday night.